1. Write your email (we suggest doing it in an external word processor like Word and then pasting it into the message body when you’re ready). 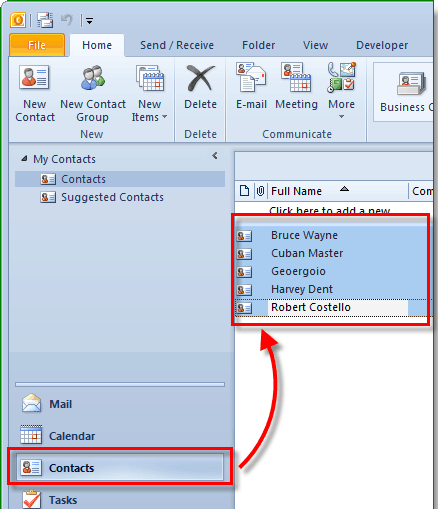 You can use your Outlook Address book to add multiple recipients, or upload a list of contacts from Excel or Access. 2. 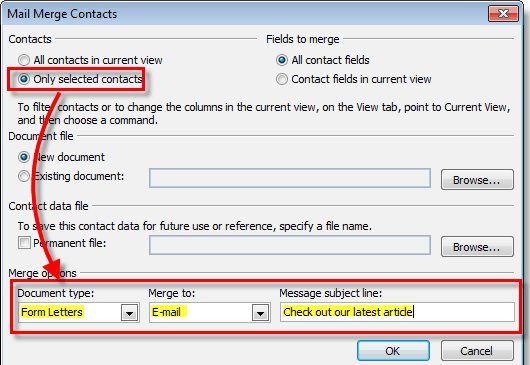 Now open your outlook 2010 and then go to your contact list and select the contacts you would like to send personalize email. 3. Next above on the toolbar Click Mail Merge. 4. It will open a pop-up in a new window. 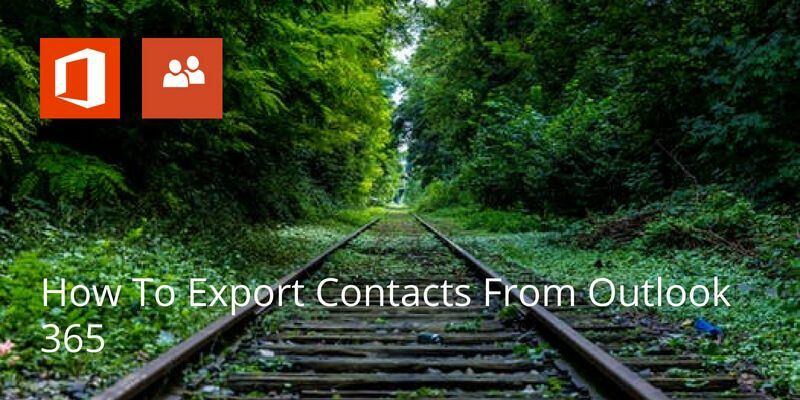 At the top, Check Only selected contacts. 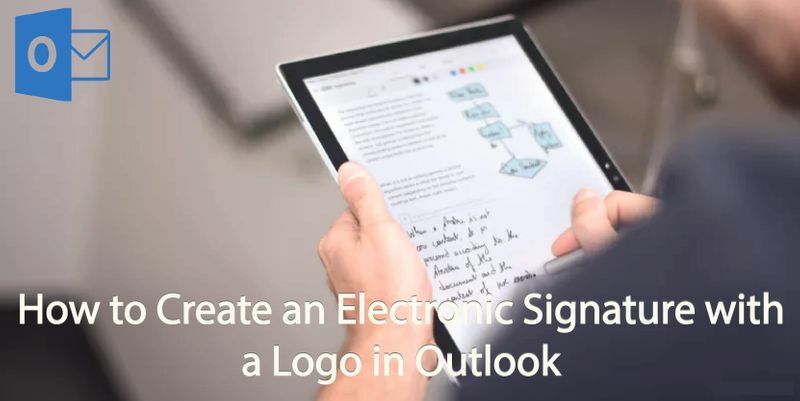 At the bottom, Set the Document Type to Form Letters, and Merge To E-mail. 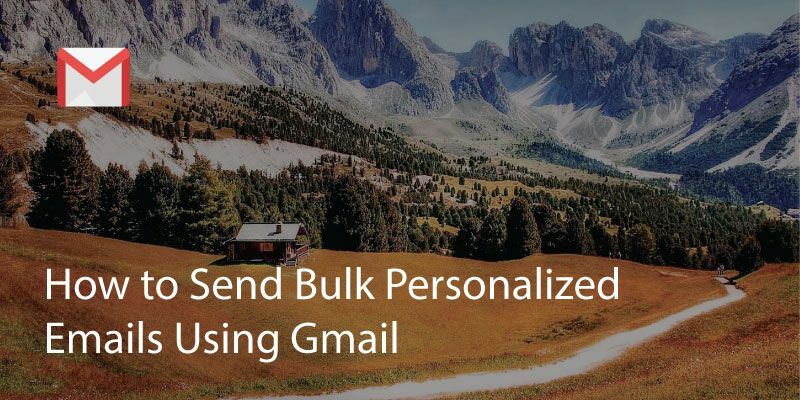 Set the Message subject line to whatever subject you want the email to have. 5. When you Click OK, a new ‘compose email’ will open up. In the compose email window, let’s add a personalized Greeting. Click Greeting Line. In the pop-up window, you can customize your Greeting line, but default works fine. Click OK to continue. 6. 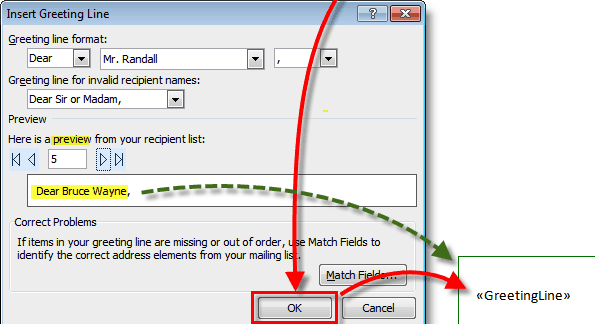 If you want to add more fields then Use the Insert Merge Field button to do so. 7. 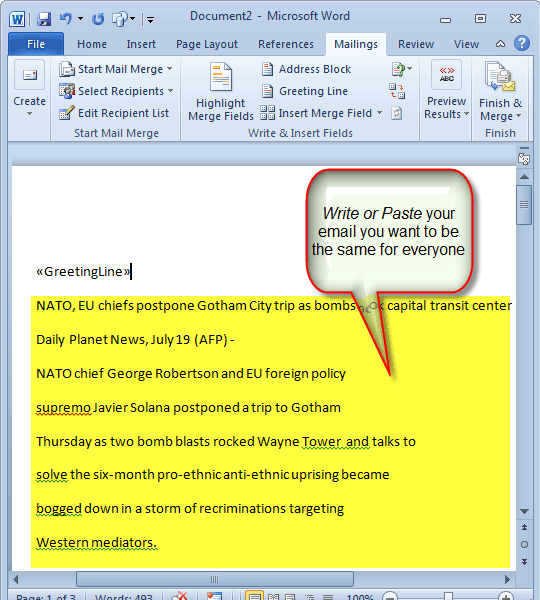 Write your email content or copy and paste it from your word processor! 8. 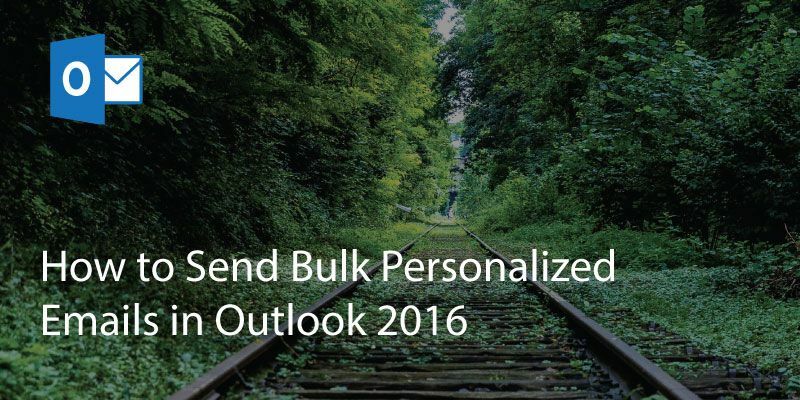 When you are all done writing then Click Finish & Merge, then Select Send E-mail Messages. 9. A pop-up will appear. Click OK and off the mail goes! 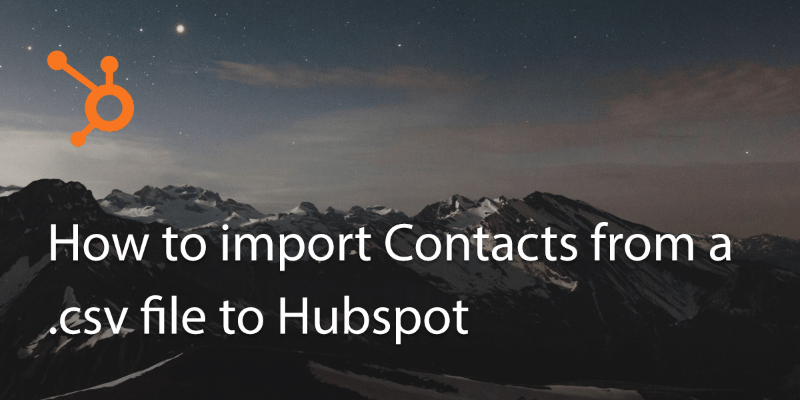 Now you’ve sent out your mass email to all of your contacts! Written on 9 Feb 2018.